Here is our list of KFire TV gear Giveaways: current and expired. We hold at least 1 giveaway every week, so subscribe to KFire TV on YouTube, check the KFire homepage at least once a week, and make sure you’re following KFire TV on Twitter (which is how you Enter most of our drawings anyway) to get notified about new Giveaways. Our giveaways are random-winner sweepstakes, which means that a random Entrant is selected when the Giveaway time period ends (usually 7 days) and the winner is then given the prize. Update for May of 2017: We’re re-launching our Giveaways program! Now we’re giving away a brand new Amazon FireStick once every month. To get notified about every month’s FireStick giveaway, just join our email list. Entering the Fire TV Stick giveaway is always FREE. 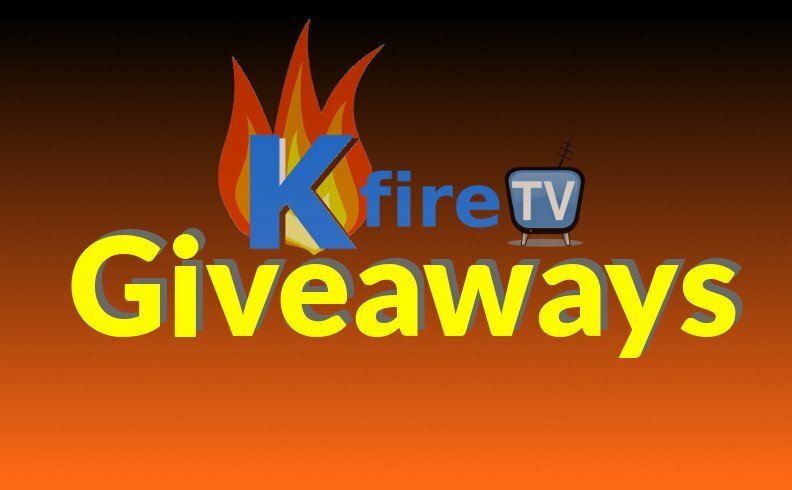 We currently use Amazon as our Giveaway host, so you Enter the Giveaways by clicking on our links (in the KFire TV Giveaway list below) that go to each respective Giveaway page – then click “Follow to Enter” on each individual Giveaway page. When you win a giveaway, Amazon will notify you. You will then claim the prize on Amazon and Amazon will ship your prize to your door. Current giveaways and past giveaways are listed below. Note: This page was last updated January 11th, 2017 and will be updated regularly. Good luck – we hope you win. Have any family or friends who’d like to Enter our sweepstakes? Share it with them! And don’t miss out on your chance to win free stuff! Make sure you sub to the KFire YouTube channel.